Try This .... One Tool Many Look ..... There are bound to be days when you are in a hurry and you don't really have time for even a quick shave. But one glance at the mirror and you know that your face looks like a mess. Wouldn't it be nice if you had a trimmer or shaver that allowed you to quickly groom yourself without subjecting yourself to cuts and nicks? Lucky for you, this Nova trimmer does just this. It is ergonomically designed to meet the fast-paced lifestyle of modern men and women. 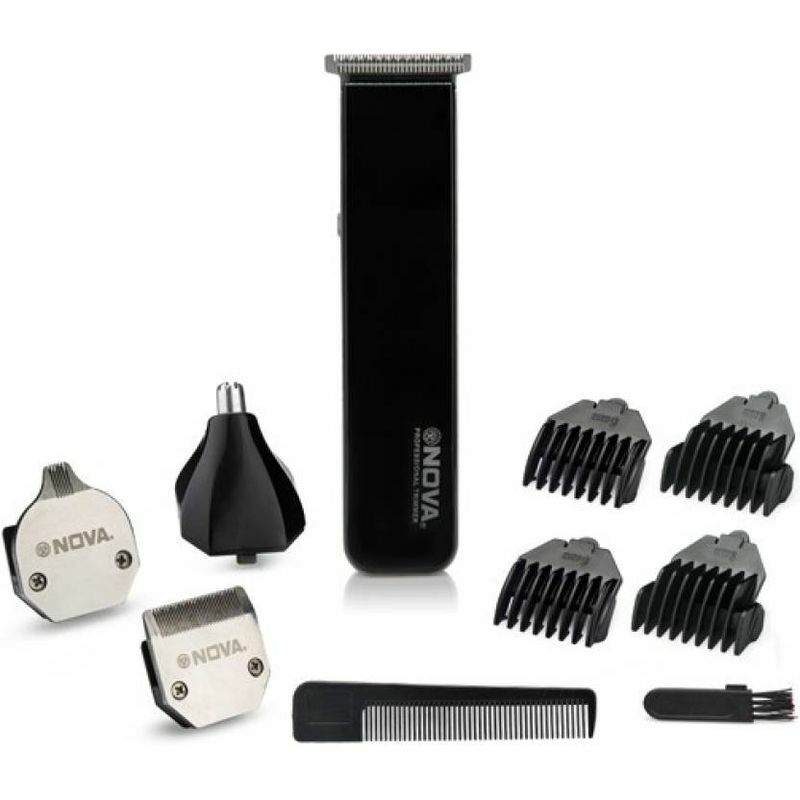 Featuring specifications like Multi Groming Kit with multi attachment blades and different length setting options, which allows you to choose your style every day.. This high precision trimmer is here to put the fun back in personal grooming. This One Tool Many Look Trimmer Gives you a personal feel and style of your own.... whats more you get multiple attachments to groom the way you want too.You can also groom yourself with the detail Trimmer provided . You can set this appliance to any mode depending on the length and thickness of your hair. It comes equipped with Multiple attachments..These tools help cleaning the trimmer's head off unwanted hair easy. One of the most impressive features about this trimmer is its long lasting battery life.